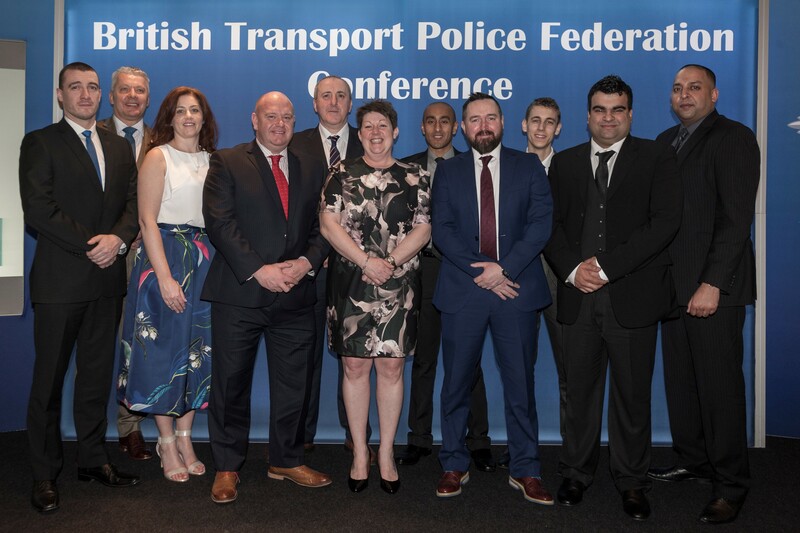 On the evening prior to conference, our reps, delegates and guests came together to celebrate the dangerous, challenging and varied work of BTP officers. Our Awards of Excellence recognised the bravery and tenacity of colleagues, and this year we had a number of short films made to show exactly the sorts of incidents our winners dealt with. The films are available to view on our Facebook page and have already been watched many thousands of times. The Awards were sponsored by Police Mutual and hosted by our good friend and supporter, Lt Col Andrew Figgures, CB, CBE. You can read more about the night here. Conference began bright and early on Wednesday morning with a rousing speech from our Chairman, Nigel Goodband. Welfare support for BTP officers, morale, police reform, the IPCC, Taser and firearms, and the proposed integration of BTP Scotland with Police Scotland all featured. Our Chairman's views around the future of policing in Scotland made a few headlines. We were pleased to be joined by Paul Maynard MP, Parliamentary Under-Secretary (Department for Transport), who responded to Nigel Goodband's speech. He praised the work of British Transport Police officers and said it had been a pleasure for him to attend the Awards of Excellence. He went on to explain that his participation in the Police Parliamentary Scheme had been 'a genuine eye-opener' in terms of what police have to deal with. He commented 'you almost have to be superhuman to do that job'. 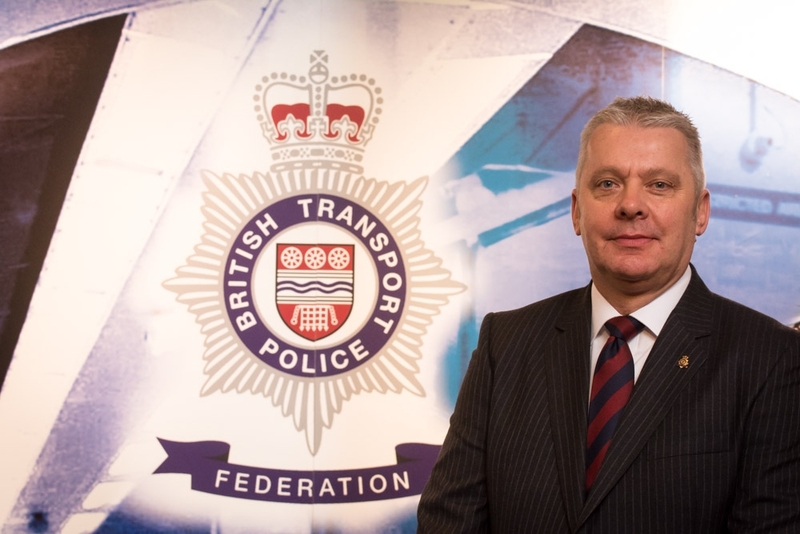 He welcomed a meeting with BTP Federation to look at the detail of the proposals for Scotland and has since contacted us with suggested dates. Next, Chief Constable Paul Crowther and Interim CEO of the BTP Authority took part in a question and answer session lasting for more than an hour. Delegates posed questions about TRiM, directed patrols, NICHE, the roll-out of mobile devices, and rosters. Our guest speakers bring a wider perspective on policing, the challenges faced by the service as a whole and the welfare support that exists. This year we were delighted to be joined by Bryn Hughes, founder of the PC Nicola Hughes Memorial Fund, Mark Williams, CEO of the Police Firearms Officers Association (PFOA) and Calum MacLeod, Vice Chair of PFEW. Having lost his daughter Nicola in the most tragic of circumstances, Bryn Hughes spoke candidly of the impact of PTSD. The room fell silent as he described his personal experience of the disorder, and listened as he urged officers to seek help if they too were struggling. Mark Williams gave an overview of the Welfare Support Programme, a 24-hour, 365-day telephone line to support officers and their families whilst an officer is under investigation and/or suspended. PFEW's Calum Macleod explained the aims of the Protect the Protectors campaign, which amongst other issues is calling for stronger sentences for people who assault emergency service workers. In the afternoon closed sessions took place and motions were debated. Your local rep will provide an update to you. General Secretary, Darren Townsend and Treasurer, Graham Poyser, reported on their work over the year. This was Graham's last conference as he is due to retire from BTP this summer.